Talks with the Taliban, on what justification? Kabul, July 7, 2015 – The first round of talks between Afghan government and the Taliban delegations ended on July 7, 2015 in Pakistan with the promise of resumption after Eid al Fitr. It was the first serious encounter between the two sides in a long time. Previous talks between the Taliban and different groups of Afghans in Dubai, China, Qatar and Norway did not result in any agreement. 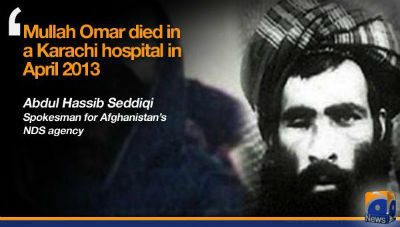 On the threshold of the second round, it was announced in Kabul and confirmed by Pakistan and the Taliban that the spiritual leader of the Taliban, Mulla Omar is dead. He was reportedly dead more than two years ago and the Taliban were representing a dead man and it was he who endorsed the first round. More hilarious yet, President Ashraf Ghani on the occasion of Eid al Fitr, thanked the dead man for his cooperation to send a delegation to the talks. Alas, the news brought chaos to the scene and before a successor was chosen, Pakistan reportedly at the request of the Taliban, postponed the second round indefinitely. Given the make-up and nature of the protagonists in this or any other negotiations, it is hard to believe that these talks will result in any substantial agreement that would be beneficial to the people of Afghanistan. The government in Afghanistan, despite its claim of legitimacy, lacks the credibility of a truly elected body. Due to a serious stalemate in determining the winner of the polls and fear of a civil war, the US intervened to save the situation and persuaded the two sides to have Ashraf Ghani with 2.2-million rigged votes be the president and Dr. Abdullah, despite 800,000.00(1) rigged ballots, became the so called CEO—unconstitutionally created on the spur of the moment. Since the formation of this two headed being, Afghanistan has been a scene of serious disagreements over the formation of cabinet and other institutions. Several nominees for different portfolios failed to get the approval of the parliament until the president literally installed a candidate without the approval of the parliament as the defense minister. In appointing the rest of the cabinet, in obvious violation of the constitution several ministers with dual nationality are put in place. Most of the governors, deputy ministers and ambassadors are yet to be appointed. The president and CEO, who is practically a prime minister, do not see eye to eye on most of the issues and the CEO and the vice presidents are bypassed in a lot of decisions such as an important security agreement with Pakistan, which they mostly oppose. (2). Ethnically, aside from the president and first vice-CEO, vice presidents are mostly non-Pashtoon and they all have serious reservations about the sincerity of the Taliban intentions. During the reign of the Taliban, most non-Pashtoon ethnic groups suffered massacres, scorched earth policies and mass deportations or existential threats in the hands of the Taliban. Restoring the Taliban back to power is not in their best interest. The Taliban, too, are not a homogenous group and there are at least two groups, the Quetta Shura and the Haqqani network, but they are all influenced or controlled by the Inter-Services Intelligence (ISI) so any disagreement would not be detrimental to the process. But who really are they? The Taliban are an extremist religious group of overwhelmingly ethnic Pashtoons. They preach a brand of Islam that prior to their onslaught in Afghanistan in 1996 was alien to most Afghans. They are mostly trained and educated in Pakistan and the average Talib has lived almost all of his life in Pakistan, speaks Urdu, and feels more at home in Quetta or Peshawar than in Kabul or elsewhere in Afghanistan. Culturally he is as unfamiliar with Afghanistan as is any Pakistani. He has no sense of belonging to Afghanistan or feeling or affinity to Afghans. During their reign in the 1990’s, they behaved more as occupiers than as compatriots to other Afghans. Even at times of no hostility they treated Afghans as enemies and there was no feeling of compatriotism towards others. They are mostly orphans or youth of poor backgrounds who were taught in Madrassas run by Saudi Arabia. They were brought up with orthodox Deobandi thinking—ideologically equivalent to Saudi brand of Wahabism that considers Shi’ites heretics. As to the motive for their creation, former Pakistani dictator Pervez Musharraf once summed it very succinctly: “ISI cultivated Taliban to counter Indian action against Pakistan.”(3) They were organized under the tutelage of retired general Nasirullah Baber, interior minister under prime minister Benazir Bhutto. “The Taliban emerged as a powerful movement in late 1994 when Pakistan chose the Taliban to guard a convoy trying to open a trade route from Pakistan to Central Asia. With Pakistan providing weapons, military training, and financial support, the Taliban gained control over several Afghan cities and successfully captured Kabul in September 1996”(4). From there it was a smooth ride as Pakistan tried to pave the way with money and weapon as well as logistics for Taliban to gradually capture most of Afghanistan. Pakistan, UAE and Saudi Arabia were the three countries that recognized the Taliban government. They ruled Afghanistan until 2001 in a reign of terror unforeseen in the region. When driven out of Afghanistan by the US led coalition forces in 2001, they went back to where they had come from—to the open arms of Pakistan to be sheltered, organized, equipped, trained and expanded for posterity. During the last 14 years, they unleashed a campaign of terror that has cost the Afghans and coalition forces thousands of lives. Ironically, they carried out two suicide bombings in Kabul, in the same day that they were meeting in Islamabad to discuss peace. 1- It should not be in any shape or form supportive of or in the interests of India. 2- It should accommodate Pakistan’s interests fully both politically and economically even at the expense of Afghanistan’s own interests. Vital to Pakistan are Afghan transit route through Pakistan and also its own route to Central Asia. 3- It should at any cost safeguard the so called strategic depth that rightly or wrongly is perceived to be vital to Pakistan’s security. 4- It should minimize the role of the former Northern Alliance in the Afghan government. Pakistan has had a rocky relationship with that front and considers it to be pro-India and anti-Pakistan. 5- It should protect the sanctity of the Durand line as the inviolable border between Afghanistan and Pakistan. All this in effect makes Afghanistan a de facto fifth province of Pakistan. This has long been a hegemonic dream of some Pakistanis to have a “common destiny” with Afghanistan. This process had practically started during the reign of the Taliban with among other things, the gradual replacement of Afghani with Pakistani Rupee as the currency and the introduction of Pakistani telephone codes for reaching Afghan cities. Therefore, it would be very naïve to think that the Taliban can and will negotiate as an independent group with the interests of solely Afghanistan in mind. Taliban’s demands are practically the same as they have been since they were ousted from power in 2001. “…the Taliban have laid down several demands, including a new Sharia-based constitution to be written by an unelected council of Islamist groups, and the withdrawal of all remaining US military personnel in Afghanistan” (8). They want to reverse all the gains that Afghanistan has made in the last 14 years such as improvement on women rights, universal education, free press and electronic media and voting rights to name a few. They want a total and complete control of the government and armed forces by the Pashtoons and marginalization of other ethnic groups especially the Hazaras. Most notably they want a restoration of Sharia as they perceive it and the annulment of the Jaafari code of justice for Shi’ites. In short they want to take Afghanistan back to the stone-age condition that they once took during their reign in the late 1990’s. It is their belief and they won’t stop until they achieve it or die in the process. One wonders why were the Nazi leaders put on trial in Nuremberg if it was not for the crimes they committed against humanity. Why were the Khmer Rouge leaders put on trial? Why were Milosevic and Radovan Karadzic or Charles Taylor of Liberia put on trial in the Hague? What is the difference between Mulla Omar and Karadzic or Pol Pot? They are all mass murderers that should be tried for genocide or crimes against humanity. There is no good mass murderer or bad mass murderer, there is just mass murderer. These people have no place at the negotiating or conference table. Their right place is in the International Criminal Court (ICC). The US should have put pressure on its ally Pakistan to hand over Mulla Omar and the Haqqani leaders to be put on trial in the ICC as it did in the case of the government of Yugoslavia to hand over Karadzic and Mladic the accused Bosnian war criminals. When the US voices its support of negotiations with the Taliban, it begs to question who the US was fighting against during its longest war? What was all the hoopla about fighting terrorism? Al Qaeda was not in Afghanistan, nor were the Taliban. They were both stationed and nurtured in Pakistan. Fourteen years of war, billions of dollars of tax payers’ money and thousands of lives both American and other NATO allies as well as Afghans were wasted for what? How can the US justify the peace with the same killers that it was supposedly fighting in the war on terror? What has changed since 2001? The Taliban are the same, they are still equal opportunity killers and murderers. In fact one of their main demands is the withdrawal of foreign forces from Afghanistan that includes Americans. They were killing and maiming in Kabul as the US and other delegations were talking in Islamabad. As long as the negotiations are held with the Taliban, wherever they are held, the outcome will not be acceptable to the majority of Afghans who suffered under the horrendous crimes of these people. The US may force a peace with the killers of innocent Afghans down their throat with involvement of Pakistan as the sponsor of these killers but it would certainly not be “credible” or moral, not by a long shot. Besides, dealing with the Taliban would be a betrayal of the blood of those Americans shed in fighting them. In fact Karadzic and Mladic were not directly involved in the war against the US but Mulla Omar and the Haqqani network had been in direct confrontation with the US and have killed and maimed thousands of American servicemen and women. They are sworn enemies of the US. The crimes these people have committed against innocent civilians are classic examples of genocide as we know it. 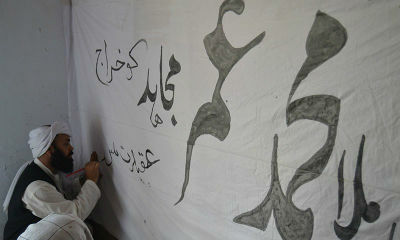 Tens of thousands of people especially Hazaras were slaughtered just because of their ethnic and religious identity. Just being a Hazara was a crime by itself. Thousands of hectares of vineyards and orchards were destroyed as part of the scorched earth policy against Tajiks in the Shomali valley north of Kabul. The UNESCO-listed ancient statues of Bhudda in Bamyan, one of the greatest treasures of humanity not just Afghanistan, were destroyed. Can the US, the UN, China, Pakistan, Afghan government or for that matter any right minded person justify talking peace with these people and expect a decent result? 1- These figures were mentioned to the author by a member of the electoral commission who remains anonymous for safety reasons. 3-The Guardian, February 13, 2015. 4-Maley, William. Fundamentalism Reborn: Afghanistan and the Taliban. New York: New York University Press, 1998. 5- Why Afghan Taliban are ready to talk?, VOA, July 9, 2015. 6-Starting Afghan Talks, The Nation, July 11, 2015. 7-Praveen Swami, Afghan peace talks fail over Taliban demands, The Indian Express, June 6, 2015. 9- Reuters, July 7, 2015.